Thorang peak (6144m) climbing is the nice snow mountain situated in Annapurna region, on the left, just to the south of the Thorang La, seen just past the Gya La (3970m) between Tetang and Muktinath. The trail from Tetang descends from the Gya La (3970m) and eventually joins the main trail from Manang to Ranipauwa. Muktinath is visible in the lower right. This mountain is the possible to reach while having trekking to the Annapurna region. 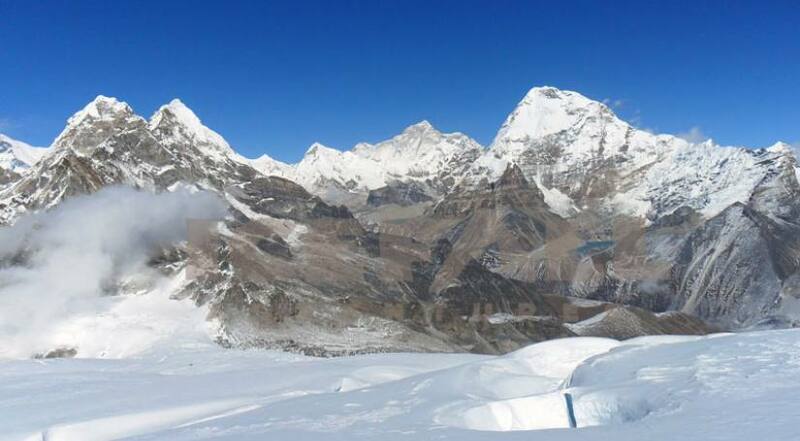 The highest point of this Trekking is Thorang La pass, (5416 m) and Throng Peak (6144 m) climbing. This trekking rout is primarily designed for them who love to enjoy the flora and fauna and have panoramic views of the Himalayan range. The trekking route takes you to the most spectacular mountain scenery, charming settlements of Gurungs and their slate-roofed houses, whereby you can explore the incredible rhododendron forests ablaze with ivory, rose, apricot and crimson bouquets and deep sub-tropical valleys. While trekking in the area, you will pass through the gorgeous lowlands of the wonderful high mountains and have views of breathtaking scenes of the Annapurna range. The trekking to the area begins in the terraced foothills close to Pokhara and continues to the Thorang La, seen just past the Gya La (3970m) between Tetang and Muktinath. The trail from Tetang descends from the Gya La (3970m) and eventually joins the main trail from Manang to Ranipauwa. Muktinath is visible in the lower right, and finally making excursion to the highest point of this trekking is Thorang La pass, (5416 m) and Thorang Peak (6144 m) climbing, it return back from same route to Pokhara and subsequently to Kathmandu.